Uri: The Surgical Strike is a Bollywood movie based on the surgical strikes that took place in 2016 by the Indian Army. This attack was planned in retaliation to the terrorist attack that was conducted in Uri that killed 19 Indian soldiers. 35-50 terrorists in militant launch pads in Pakistan occupied Kashmir, were reportedly killed in the covert operation. 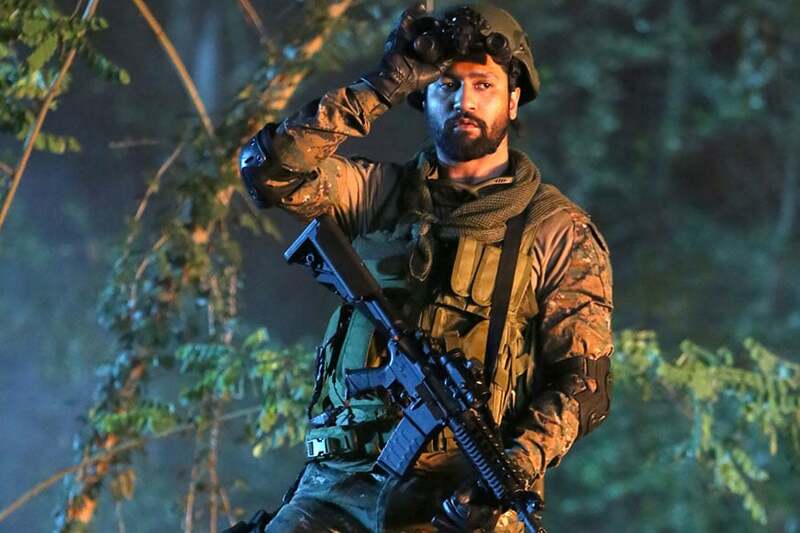 Vicky Kaushal plays as Major Vihaan Shergill in Uri: The Surgical Strike, and it happens to be his first solo commercial film. Both critics and the audience love his performance. The director says how he had seen Masaan and was amazed by Vicky’s performance and was always his first choice for the film. 1. How did Vicky train for the movie? The cast including Vicky Kaushal had to undergo rigorous training to fit into the roles of Para-Commandos. Vicky’s preparation included a month-long commando training followed by the rigorous exercise which helped him build his stamina. And it is this dedication towards the role that made him the next big star in Bollywood. Additionally, it is said that the supporting cast was also trained at Mumbai Navy Nagar where Army Captains and Majors taught them slithering, use of arms and ammunition, and other drills used by the armed forces. 2. Where was the movie primarily shot? 80% of the movie was very interestingly shot in Serbia. While the movie is about militant attacks on terror camps deep within Pakistan, the majority of the movie was shot in Serbia. 3. What makes the director so special? It was the directorial debut of National Award Winner Aditya Dhar, who is better known for his short film ‘Boond’. “Considering it is about the Indian Army, our entire energy went into ensuring that we don’t show anything wrong and that it looks as close to reality as possible. I took my time to research a lot, especially the Special Forces. Since people didn’t know about the strike, that made me feel this will keep them interested to know what happened on the ground. It was such a big event, one of the best military operations conducted by the Indian Army,” Aditya said. 4. How long did it take to shoot the movie? The film took 2 years in the making. The objective behind making the movie was to show that the surgical strike was necessary. He wanted to show the anger, and the frustration of the soldiers and the hardships faced by the Indian Army and hence made sure to shoot every fact in detail. 5. Why was Dhairya’s role so unique?